Over the past year building Managed by Q, I’ve spent a lot of time thinking about the on-demand economy, the types of jobs created by technology companies, and what it all looks like at scale. At Managed by Q we provide technology enabled services that make it easy to run an office, both scheduled and on-demand. I‘ve had a front row seat to the unfolding labor debate, and obviously carry a bias. More on that later. For the uninitiated, the on-demand economy refers to service marketplaces created by technology companies connecting armies of smartphone wielding non-employees to modern day piece work— driving, cleaning, shopping, fixing, assembling etc. What began looking like an experiment, has grown impossible to ignore, and to some has become ugly at scale. In 2014, on-demand services irreversibly crossed into the mainstream. Uber, Instacart, Handy, Taskrabbit. My Mom knows about these companies. The on-demand economy has put forth a new model of labor, agnostic of well trod conventions of employment (think unemployment insurance, workers compensation insurance, minimum wage, overtime, social security, disability, and now health insurance). It is no secret now that as software eats the world, traditional employer-employee relationships must evolve. However, for a number of reasons, we’re not there yet. After having this same conversation with friends, investors, employees and now my Mother, these are my predictions for this year in the on-demand economy: lawsuits, regulation, and supply side challenges. The sharks are circling, and for a good reason. Very early in my career I worked as a paralegal at a plaintiffs firm. This is the type of firms that advertises on TV. They ask if you or a loved one have been diagnosed with mesothelioma, or if you’ve been in a car accident or hurt on someone else's property. These lawyers have a sixth sense for recognizing patterns in cases that could produce big settlements, from which they take their fee of up to 50%. The on-demand economy could be their next gold rush. In 2014 numerous house cleaners in San Francisco filed suit against Handy. Uber and Lyft have had cases filed in California and elsewhere. The facts outlined in the complaints are almost identical. People are being treated like employees (told what to wear, when to show up, how to do the job) but are being misclassified as independent contractors. FedEx is involved in a similar case, and it isn’t looking good. The threat of these cases is twofold. Once these cases have proven themselves to be lucrative for the lawyers involved, Pandora’s Box is opened. Lawyers will take to advertising these types of cases, drumming up even more business, and creating an expensive problem. Opportunistic lawyers aside, if case law comes back on the side of the plaintiffs, courts may mandate an overnight shift in the way many on-demand players do business. Once the lawyers have publicly poked holes in the marketplaces of the on-demand economy, regulators will probably get involved. State, local, and federal governments are another victim of misclassified employees. When employees are misclassified, state, local and federal governments foot the bill. Not only are they unable to collect payroll taxes, as they would from an ordinary employer, but without an employer taking responsibility for the welfare of its people, government services will inevitably feel the impact. Additionally, small businesses can’t compete. The last thing governments should do is discourage small businesses from being responsible employers. When technology companies are operating with ~25–30% less cost due to misclassified labor, it is hard to see it any other way. To be clear, this isn’t meant to be a protectionist argument, but rather an argument that all businesses should play by the same rules, whether or not they have a slick app. Finally comes the question of supply and demand. More than anything in 2014 we saw that these companies can do a great job of generating demand for their services. What remains unclear, is will they be able to retain quality at scale. I suspect for a few reasons, there will be supply-side challenges this year. New entrants will drive demand for a finite pool of labor. On-demand companies didn’t worry so much about competing for labor until 2014, and I imagine 2015 will be much worse. Further, the on-demand economy was born in a recession. As the United States economy continues to grow at a healthy clip and unemployment rates shrink it is unclear if on-demand opportunities will be as attractive as they once were. I also believe some of these marketplaces risk disintermediation and will struggle to retain their best people. A new breed of companies are applying the best of both worlds — flexible scheduling through powerful technology, and the benefits of proper employment. This is the model we pursue at Managed by Q, and it has been successfully applied by companies like Zirtual, Makespace, FlyCleaners, Gett, Alfred Club and others. While many of these companies are fairly early stage, I’m optimistic. 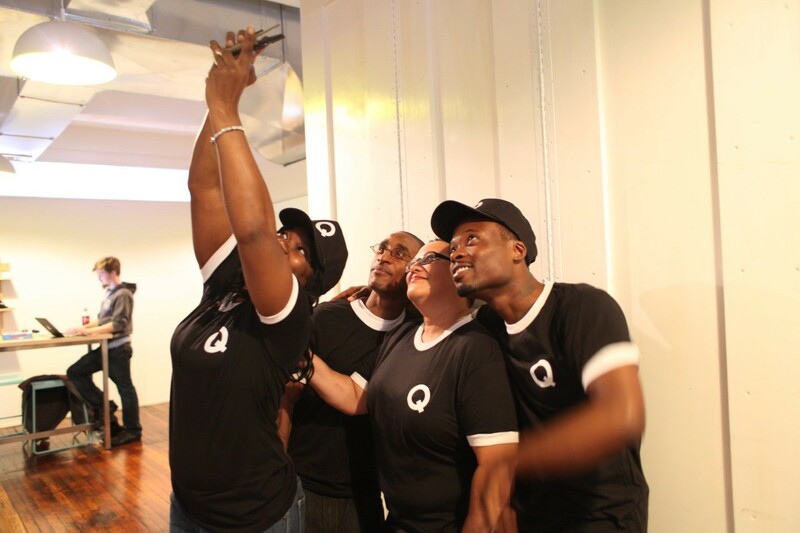 At Managed By Q we currently employ around 150 people in NYC, and have found that by treating everyone like valued employees, investing in health benefits and 401(k) plans for everyone, and creating meaningful career paths, we’re able to meet the requirements of scale with a high quality, motivated, loyal workforce…for now. We know this will get harder at scale, and we will have to work harder to attract and retain the best people. So really, what happens next? I’m not a hater of the on-demand economy, I just don’t think we’ve yet arrived at a sustainable model, and that is ok. It’s early days. Modern employment conventions are the product of a century of progress meant to protect workers and employers. It would be naïve to think that the basic needs of workers change with the proliferation of smart phones. This is not what innovation looks like. Even short of regulation, firms must first decide what types of jobs they want to create. There is no doubt that the prize is enormous for players in the on-demand economy, and it is my sincere hope that as an industry we can innovate models that deliver value not only to our shareholders and customers, but also to our and employees. 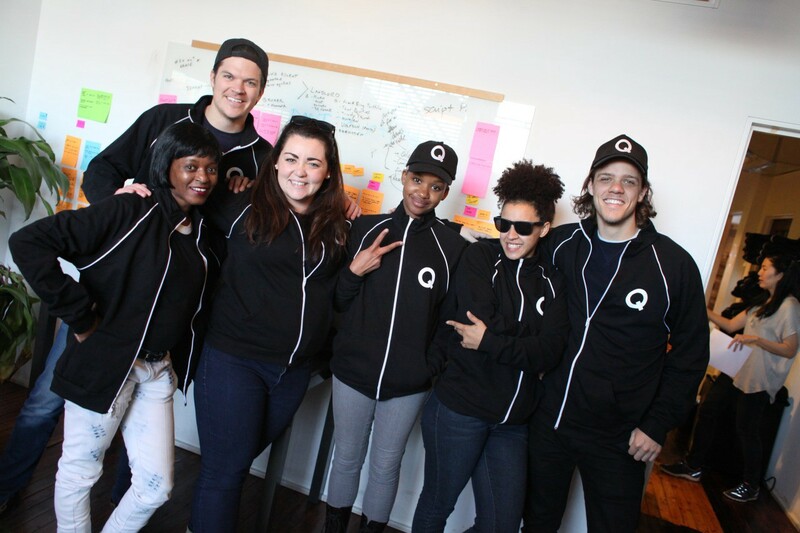 To learn more about how we do things, check out www.managedbyq.com/careers or follow us @managedbyq. Life in the new economy.